Acer Iconic B1-710-L401 Tablet comes with these high level Specs: Media Tek MT8317T 1.2 GHz dual-core CPU, Android Jelly Bean Operating System, 7" WSVGA LCD Capacitive-Touch Display with integrated 5-point multi touch screen, supporting finger touch and image auto rotation, Integrated Power SGX 531 Graphics, 1024MB DDR3 Memory, 8GB Internal Storage, 802.11b/g/n Wireless, Bluetooth 4.0, HD Front-facing camera, 1 - Micro USB 2.0 Port, Rechargeable 1-Cell Lithium-ion Battery, Up to 3.5-hours Battery Life, 0.73 lbs. 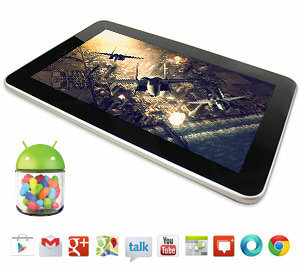 333g (tablet only) The Iconia B Series Tablet makes the journey as rewarding as the destination. At just 7" and 0.75 lbs. light, you can easily slip it into your commuting bag, and it provides a nice view of your favorite media. Read ebooks and magazines, watch videos, play games — and enjoy every moment! The new Iconia B1 Tablet is compact at 7" and weighs less than 1 lb. 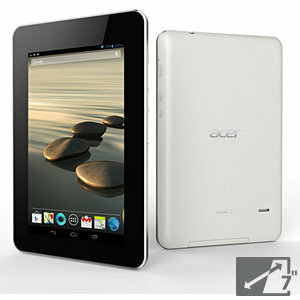 It sports a clean pure-white back cover with an embedded Acer logo that keeps the back panel smooth. The smooth rounded edges with silver frame accentuate the elegance of the white and make it cozy to hold in one hand. The stunning 7-inch capacitive touch screen (1024 x 600 resolution) ensures optimal on-screen viewing from every angle - up and down or left to right. It's perfect for watching movies, reading e-books, surfing the Web and playing games! 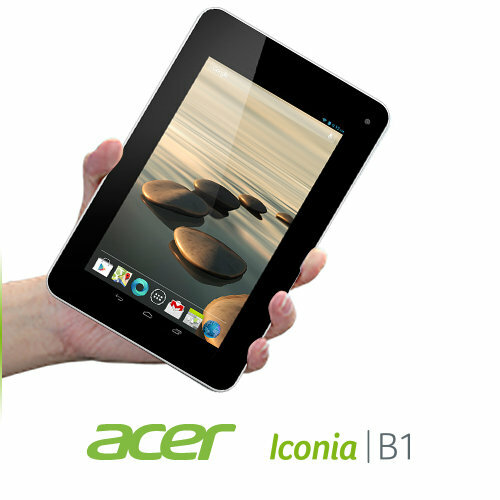 The Iconia B1 gives you the freedom to have your life at your fingertips wherever you may be. The virtual keyboard is easy to reach with your thumbs making typing easy and efficient. The B1 satisfies the need for instant multimedia enjoyment making reading e-books and browsing your favorite websites more comfortable than with a smartphone. The Android™ Jelly Bean operating system puts everything you need for searching, communicating, traveling, shopping and more in the palm of your hand. Jelly Bean improves on the speed and simplicity of Android 4.1 and includes all new features – Photo Sphere and a completely redesigned camera app, new Gesture Typing keyboard, Google Now with all new cards, and much more. With Android you can use all the Google apps you know and love, plus there are more than 600,000 apps and games available on Google Play. Google Play is the easiest way to enjoy all your favorites — no wires, no hassle, just pure entertainment. You can now read, listen and watch anywhere you want: your favorite music, movies, books, apps and games are instantly available! Enjoy hours of entertainment with friends, family, or on your own! Great preloaded apps like Amazon Kindle provides endless reading material while Netflix instantly delivers the latest movies to your tablet for entertainment anywhere. 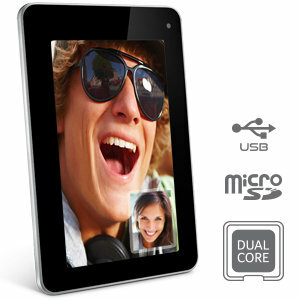 Small on the outside, yet powerful on the inside, this tablet is packed with powerful Dual-Core processing. The result is outstanding performance and amazing battery life. Smooth Gaming, web browsing, and video never looked so good. Snap photos, record videos or enjoy online chats with the HD front-facing camera. Quick access to camera settings allow you to easily share on your social media accounts. Bluetooth® Technology lets you wirelessly connect to other Bluetooth devices such as printers, keyboards, headsets and more. Thanks to the Micro-USB 2.0 port, the Iconia gives you the ability easily transfer files to and from your PC. MicroSD card slot provides additional storage up to 32GB.